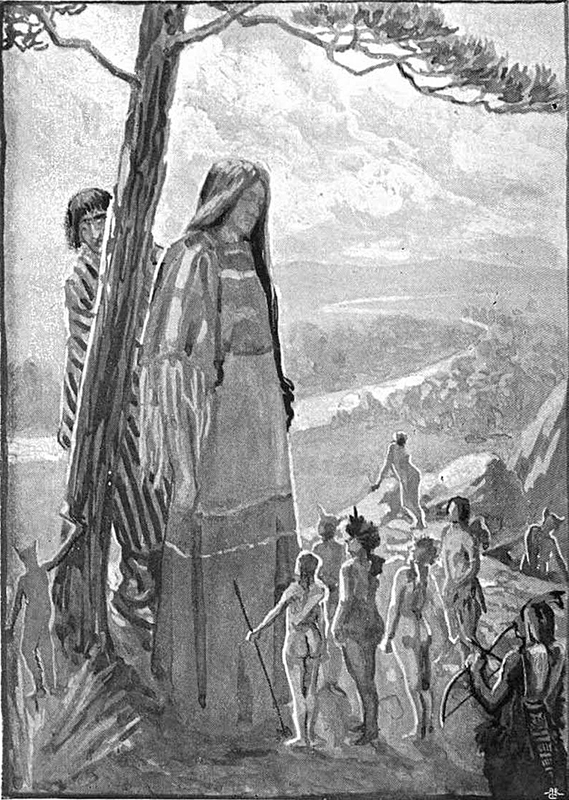 The school's undying spirit can't be expelled but never graduates. 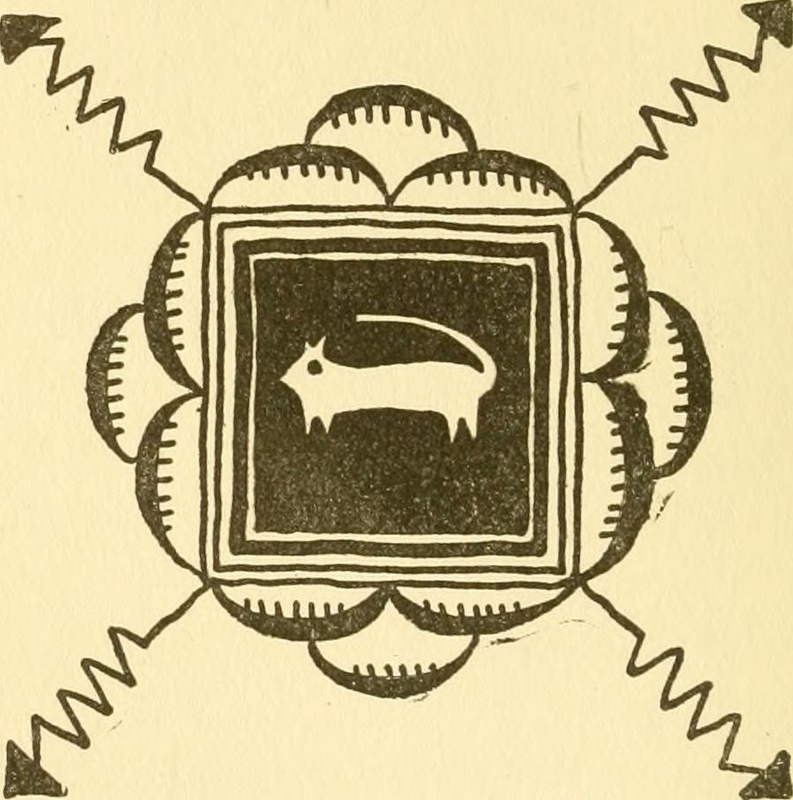 Municipal University of Omaha's 1951 yearbook. 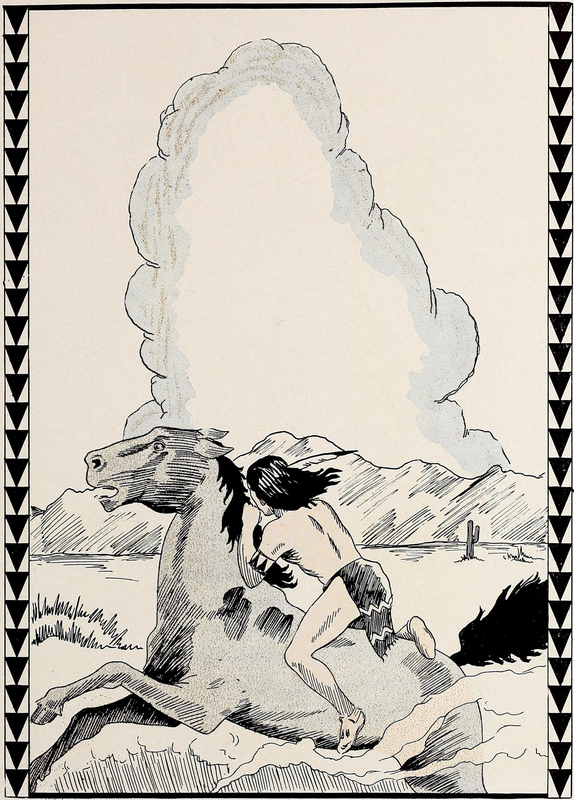 From West Georgia's 1934 yearbook. 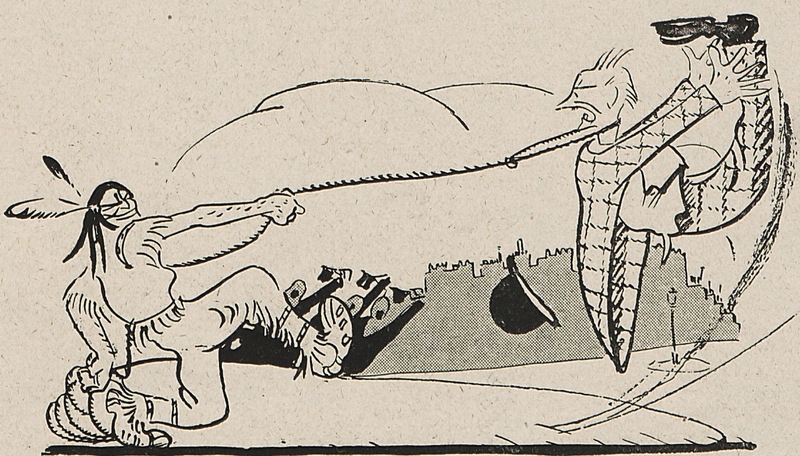 From Richmond Professional Institute's 1947 yearbook. 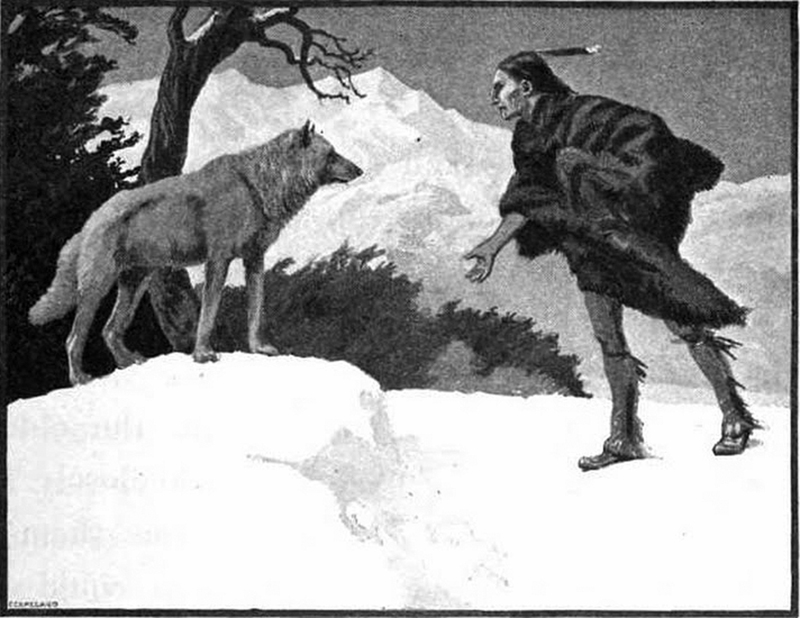 From Gray Wolf Stories by Bernard Sexton, 1921. 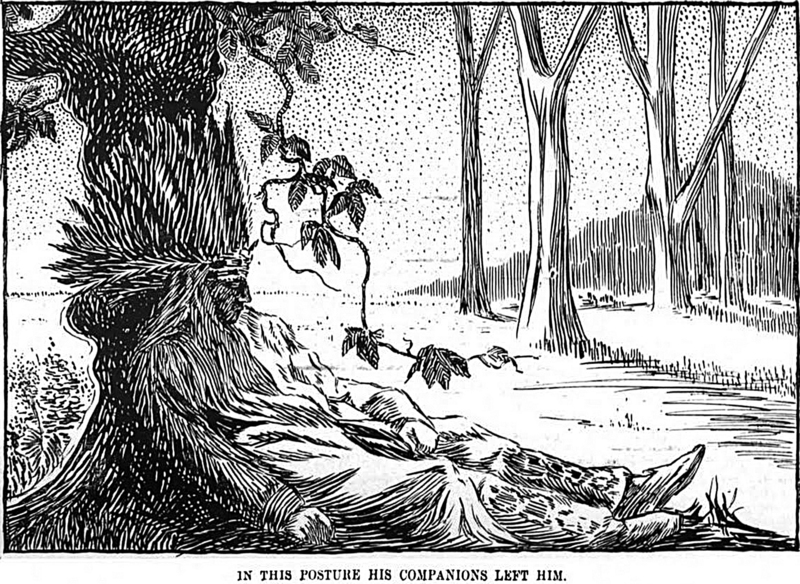 "In this posture his companions left him." 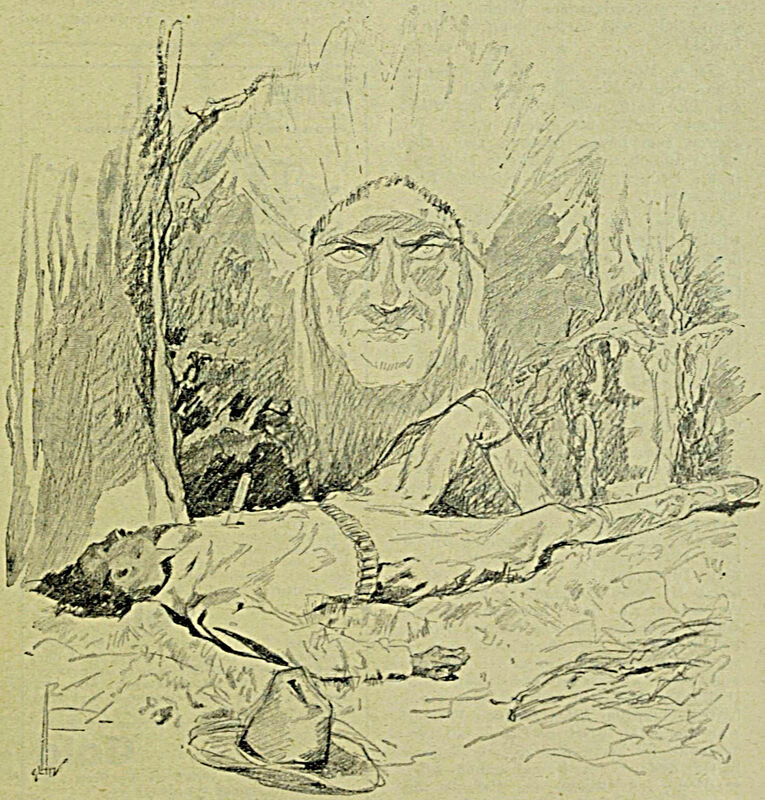 From North American Indian Fairy Tales, Folklore and Legends, 1905. 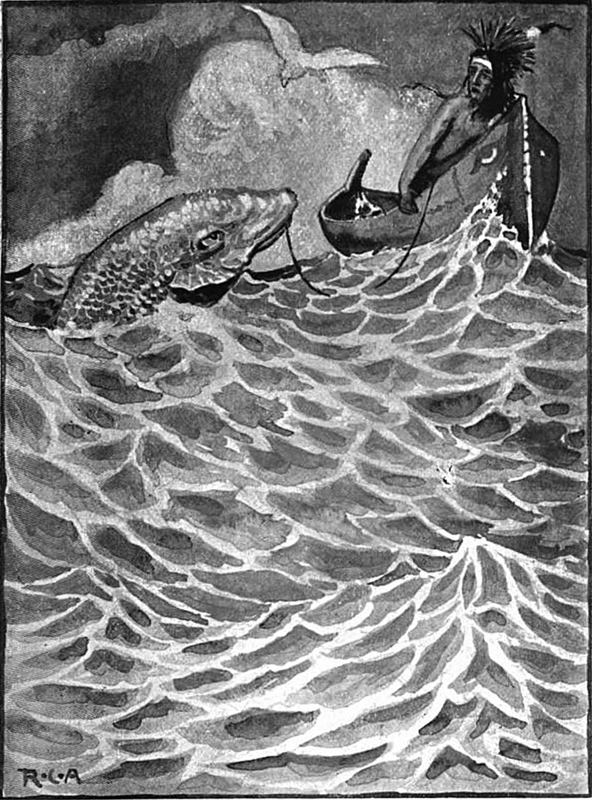 "I am the great serpent." 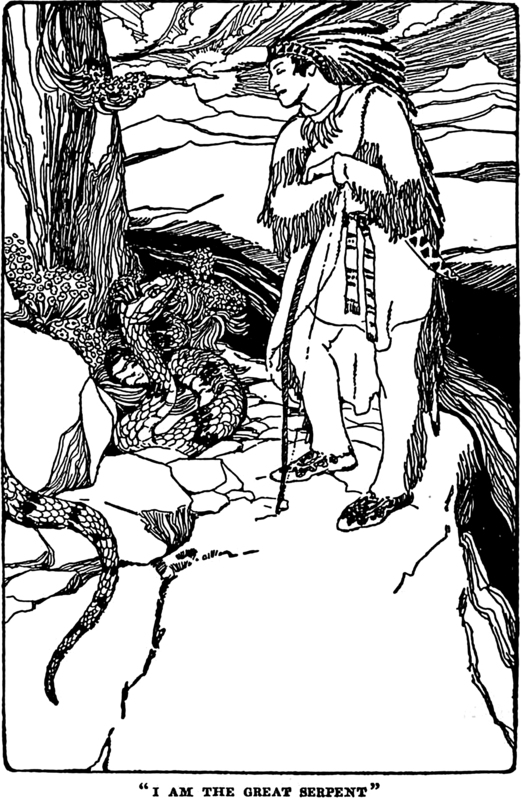 From Fairy Tales from Folk Lore by Wilbur Herschel Williams, 1908. 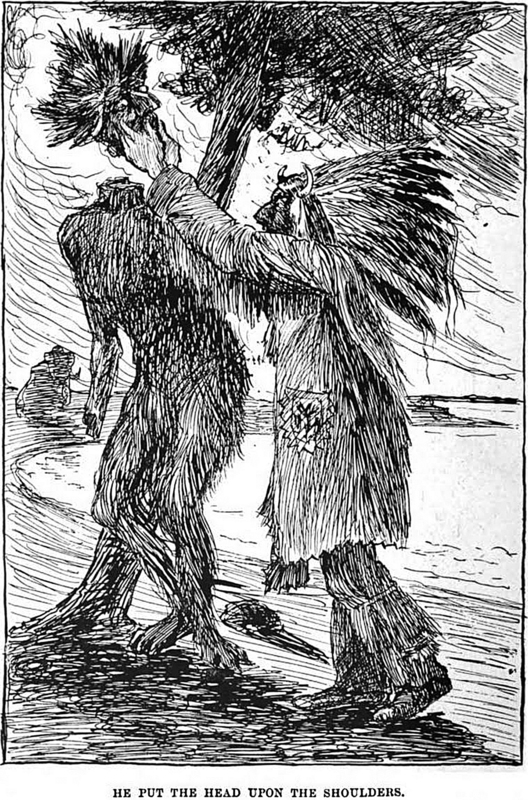 "He put the head upon the shoulders." 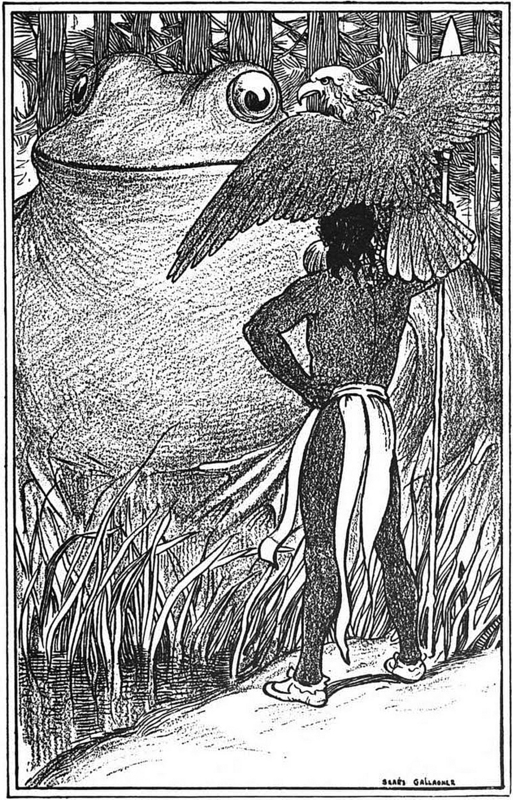 From North American Indian Fairy Tales, Folklore and Legends, 1905. 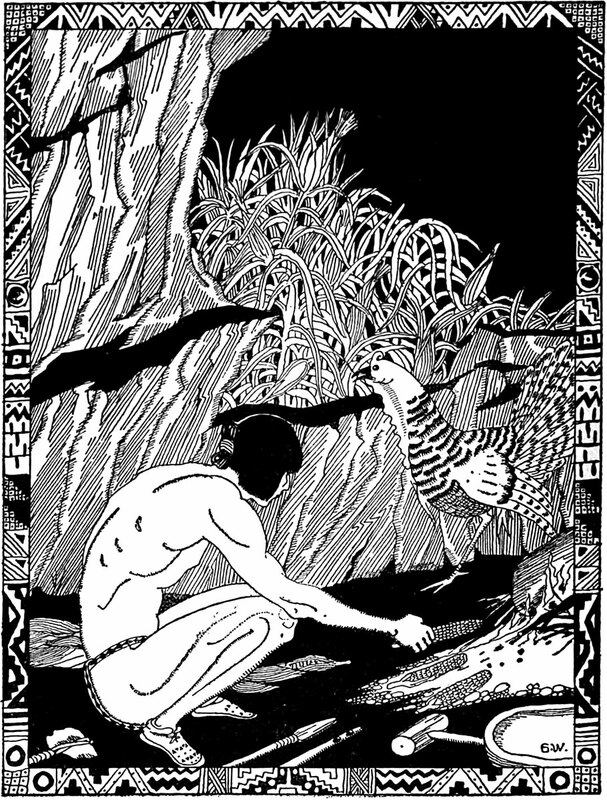 "Having finished it he brought it to life." 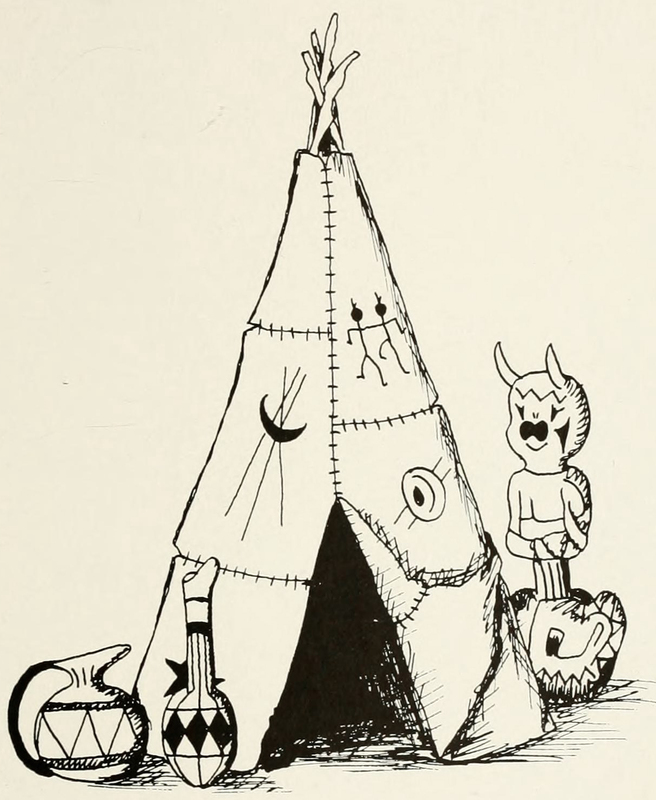 From North American Indian Fairy Tales, Folklore and Legends, 1905. Slyly cut the cords. 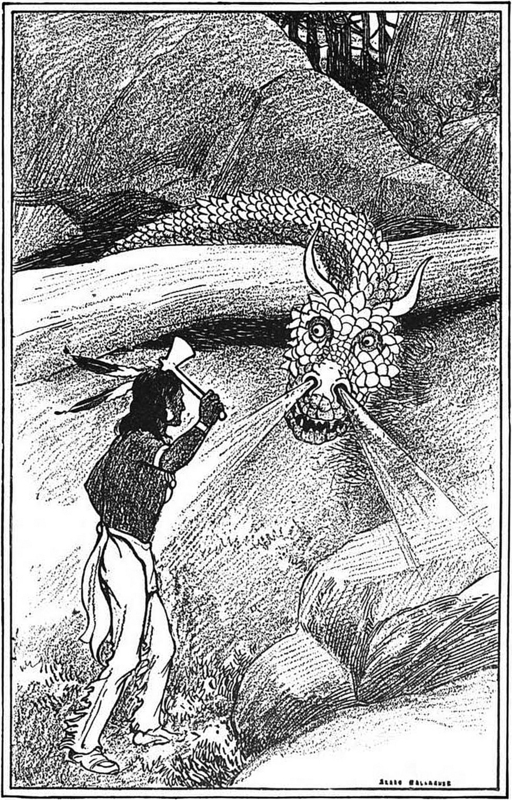 From North American Indian Fairy Tales, Folklore and Legends, 1905. 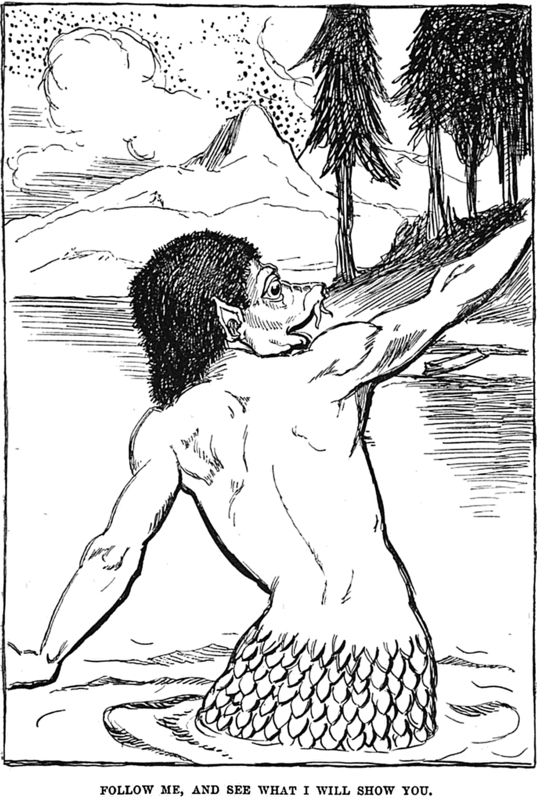 "Follow me, and see what I will show you." 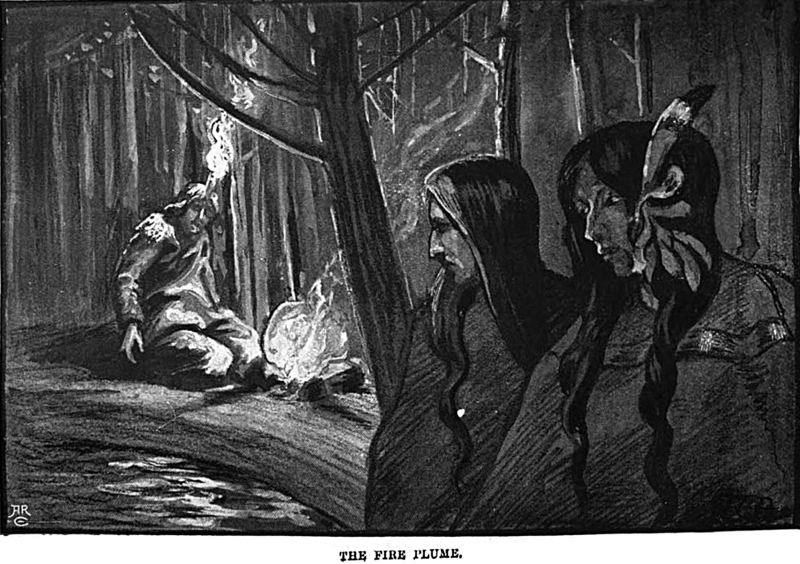 From North American Indian Fairy Tales, Folklore and Legends, 1905. 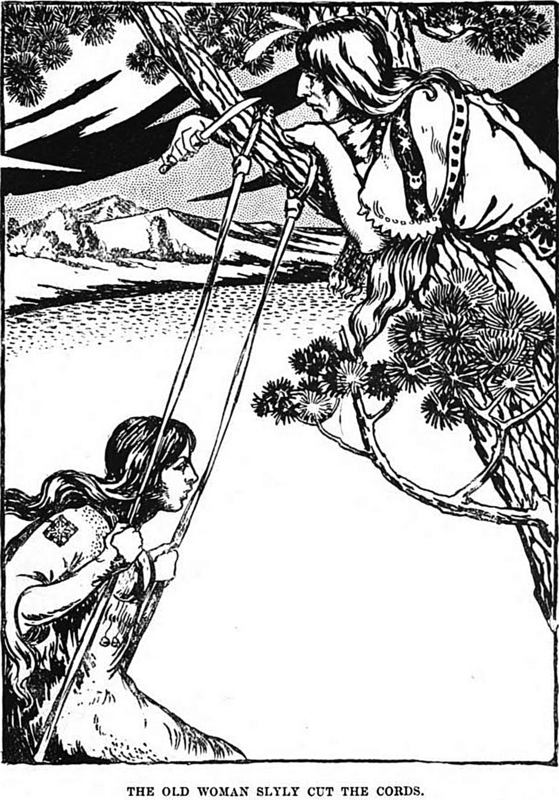 From The Path on the Rainbow by George Cronyn, 1918. 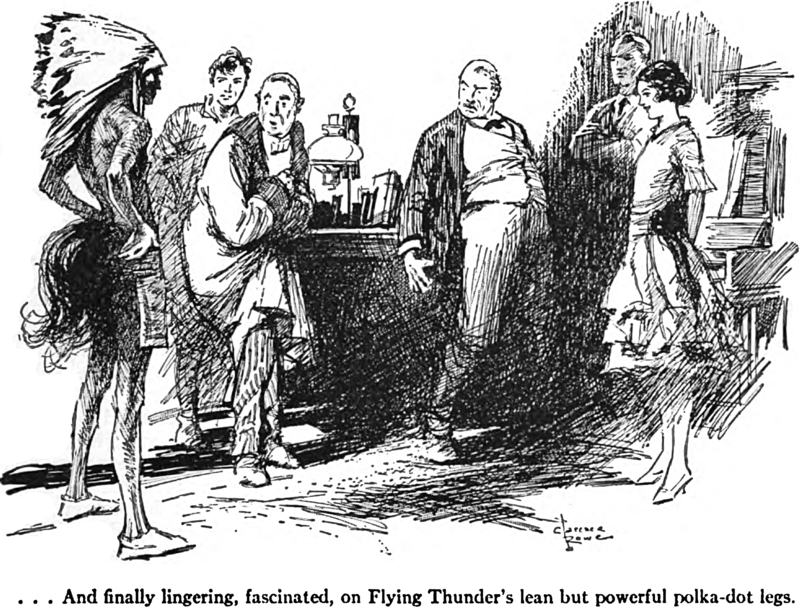 "And finally lingering, fascinated, on Flying Thunder's lean but powerful polka-dot legs." 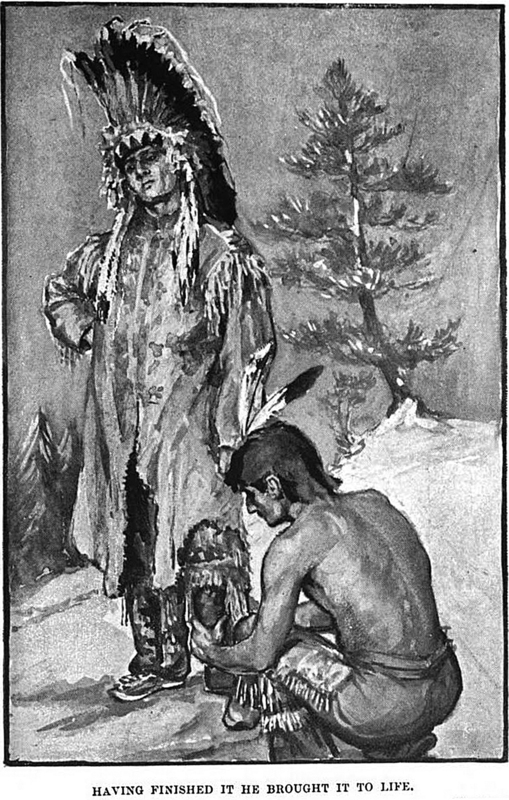 From Scribner's, 1922.